Eliza (?) married Joseph Houghton. Miriam (?) 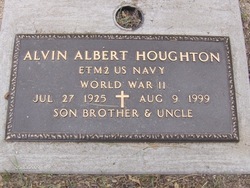 married E. C. Houghton. Eleanora Deiter married Cyril Calvin Houghton, son of Joseph J. Houghton and Adella Richardson.